Home ELearning Industry NewsDesert Communities to Access Online Services? Home › Blog › Desert Communities to Access Online Services? Highly mobile desert communities are quite common in Australia. In fact, they account for about half a million people. If you then factor in the number of people visiting the outback like tourists, contract workers and researchers you've got a fairly large populous in an area which is not yet widely accessible by quality Internet and phone services. This poses obvious communication problems, but more than that, the lack of services may actually be disadvantaging those living in these areas. Desert Knowledge Cooperative Research Centre (DKCRC) are at the forefront of mobility studies which encourage extending the reach of online services to include desert areas so that services like tele-medicine, video conferencing, online education, online training and online technical advice are available to these people. They're working towards flipping the traditional approach on it's end by taking online services to mobile desert communities, rather than asking them to come to the cities, which has never proven particularly successful. It's pretty amazing to think that considerations are being taken to give Australian desert populations access to the range of services mentioned above. I mean, just stop and think about that for a second - it's huge! There would be no end to what a person could learn in their own comfortable environment. 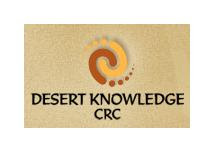 In addition, Desert Knowledge CRC don't just see their efforts as being specific to the Australian outback. They see it as a microcosm of an increasingly larger global issue of higher mobility populations and more people traveling in to remote areas. They hope to apply what they learn about mobility patterns and enabling access to online services in outback Australia, on a worldwide scale.